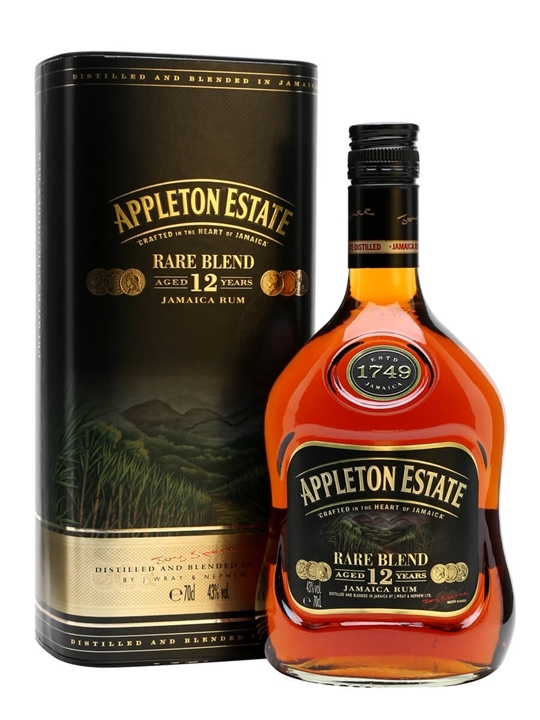 Formerly known as Extra, Appleton 12 is a rich and fruit rum from Jamaica. Money well spent. I have enjoyed this rum for a long time now. Drinking this for the first time as I write this. Having on the rocks. Quite boozy on the nose, and sharp initially. But as the ice dissolved the flavour developed and the delicious molasses and banana notes come through. So smooth and easy drinking. Definitely a step up from the signature blend in complexity and roundness. My friend went to Jamaica & I asked him to bring me a bottle of Appleton's Rare Blend 12 Yr. I was disappointed – there was a BIG alcohol nose from the bottle & the glass, even after about 20 min. It had a molasses overtone but not much else. I have waited a long time to try this rum but was very disappointed in it! I have had much more favorable Caribbean rums for considerable less money. Funky, but not terribly so. Smooth with just the right amount of heat. Smells great. Very Smooth, a real eye opener. Excellent sipping rum.